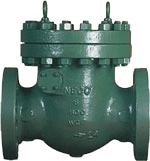 GATE VALVES are most commonly used as shutoff valves in industry today. They are used where minimum pressure drop and bi-directional on-off service is required, and are not designed for throttling service. Prolonged use in the partially open position is likely to damage seating surfaces. Gate valves are available with different wedge configurations (solid, flexible and split) to meet specific service conditions. 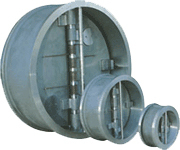 Normally gate valves are provided with flexible wedges unless otherwise asked for. 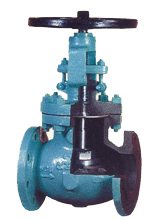 Valves with class 150lb & 300lb ratings in sizes up to 300m are normally handwheel operated. Sizes 350mm and above in class 150lb & 300lb ratings are gear operated. Class 600lb valves are handwheel operated in sizes up to 200mm and gear operated from 250mm and above. Gate valves can also be fitted with a range of electric actuators.